Halloween in Lahaina, popularly known as the “Mardi Gras of the Pacific” is officially back in business. Halloween on Front St. is Maui’s largest party of the year, possibly the largest in Hawaii. This all Hallows eve 2012 expects to see some 20-30,000 Halloween Ghosts, Goblins and Witches of all kinds, as well as some of the most amazing costumes you have ever seen. Front Street will be closed to traffic from 3:30PM till Midnight. (not that it will end by then! not even close) The festivities start out harmless enough with the the 34th Annual Keiki (children’s) Halloween Costume Parade at 4:30pm. Then the adults take to the street, literally. 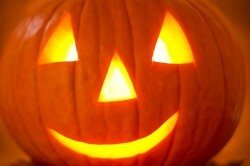 There will be bands and costume contests in most of the bars as well as in Banyan Tree Park (648 Wharf St.). The main Halloween costume contest in Banyan Tree Park is usually at about 9:30pm. As the evening goes on, the more risque the costumes get! There will be lots of food booths as well as the local Maui restaurants and bars….if you can get a seat. I recommend the average Halloween partier get to Lahaina early for the Keiki Parade and enjoy the festivities until about 9PM; by this time the streets are now packed with costumed revelers. Last year 2011, was the first in a couple of years that the County decided to close Front St. again and keep it organized. Mostly because the Lahaina businesses were hurting for the missing tourist dollars. Halloween had become a large event, not just for Mauians. In fact a lot of Hollywood types were starting to get into the spirit of Halloween. 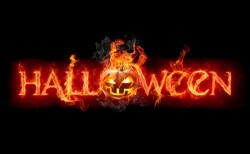 Halloween is on a Wed. this year, it will be a mad house in and on the way to Lahaina. If you book early, the Halloween cruises from Maalaea Harbor to Lahaina are a fabulous way to go. I know… as i have done them many times over the years. Hands down Pride of Maui is the best (and most $; No kids please) however they are in dry dock this year. Can you believe it?! So the Pacific Whale Foundations Halloween Cruise is the only Halloween cruise going to Lahaina.